Woodmen Hills is fun and convenient! Swimming pools (both indoor and outdoor), two recreation centers, Antlers Creek Golf Course, fitness classes, youth sports, parks, and trails, are all perks of becoming a resident of Woodmen Hills Metro District. This home is simple to maintain with a great floorplan. 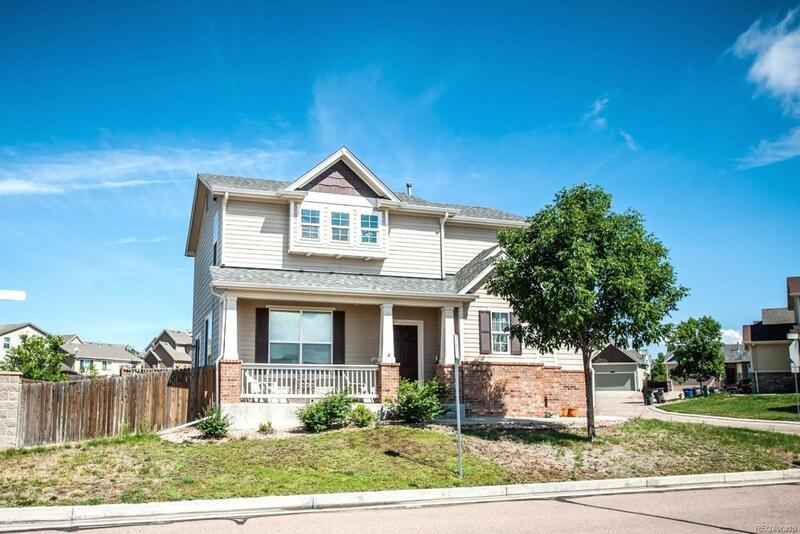 3 bedroom, 3 bathroom, 2 car garage two-story built 2005 in excellent condition. Paint, carpet, and stainless steel appliances installed 2 years ago. Wonderful central A/C is great for summertime! 9ft ceilings on main enhance open layout. Master bedroom features vaulted ceiling, walk-in closet, attached bathroom with double vanity. Kitchen has pantry, easy garage access, walk-out to fenced yard, and convenient counter bar. This corner lot overlooks green spaces in two directions almost every window home showcases these peaceful views. Plus, youre very close daily amenities from grocery stores to restaurants and shops of all kinds. Start enjoying the Woodmen Hills community today! Offered by Live Dream Colorado Llc.